These studies almost always provide justification for local governments to spend taxpayer funds on projects that might not have the economic value that local leaders think will result from the project. These studies are nearly always a rubber stamp because if a consultant told the government that “spending money to make money” isn’t a good option, they wouldn’t get a chance at the contract. A great illustration of this is the minor league baseball park built in Biloxi using local borrowing and state funds from the BP settlement and a Tourism Rebate program administered by the Mississippi Development Authority. The study commissioned in 2013 cost $25,000 and told city leaders what they wanted to hear. According to their predictions, the ballpark would have 280,000 fans go through the turnstiles annually and other non-baseball events would provide an additional economic boost for the city. The real numbers haven’t been close, as the prediction turned out to be off by more than 40 percent. This year, the stadium drew 160,364 fans, the lowest since the ballpark opened in June 2015. 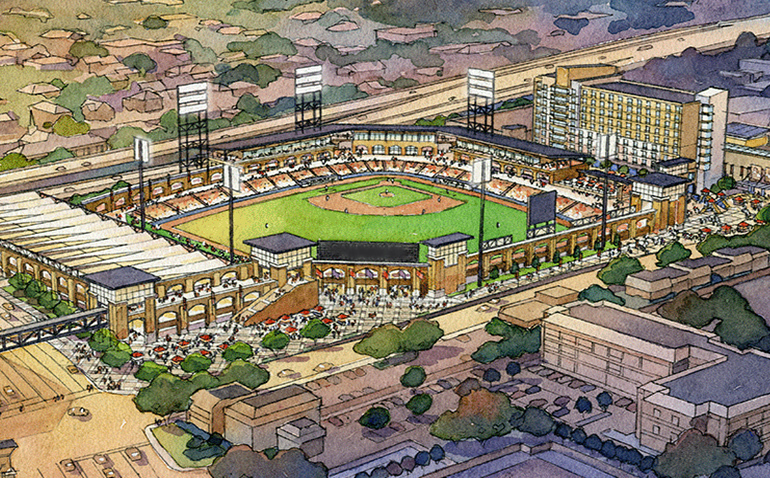 Not once since it opened has MGM Park reached the 280,000 figure predicted by the study. The predicted development around the stadium hasn’t materialized either. This is a great example of why local governments need to be wary of “spending money to make money” with taxpayer funds. Countless studies have shown that building professional sports stadiums usually don’t have the economic impact that their proponents suggest they will have. Also, spending money on expensive ballparks takes away funds that could be used on less flashy, but more vital purposes such as critical infrastructure, policing and fire protection. So the next time you see a study that claims that an arena or stadium will draw X number of fans and contribute Y amount of dollars to a city’s economy, be skeptical. The rosy predictions likely won’t come to pass and it’ll be taxpayers left holding the bag when the bill comes due. Taxpayer funding of sports stadiums is nothing more or less than Welfare For Rich People. These studies always promise the moon, and make the financial assumption that if people are not spending money on tickets and concessions at the arena, they are lighting $20 bills on fire. I am a very conservative guy with a minor in economics, and in my opinion, every study I’ve ever read that purports to show the benefits of this spending was utter bull. The great thing about America is that as a business person, you are free to make investment in your business, so have at it. If you want a new stadium, by all means build one with your money. I am sick of seeing this kind of government waste. BPF cleaned up the language to “bull”.